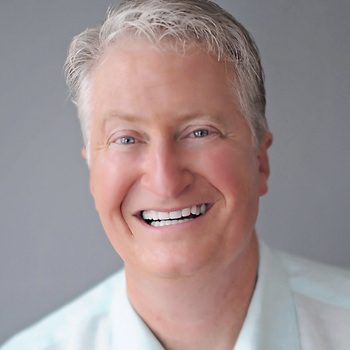 New York Times best selling author and comedian Andy Andrews joins the show this week from his home in Alabama. Early on in his stand up career, Andy toured with the likes of Kenny Rogers and Joan Rivers, and appeared on “Nashville Now”. Yet he realized early on that the “Nashville Now” audience had a very finite lifespan and was getting older by the minute. Now, it was during his stint with Joan that he went to “America’s Playground”, Las Vegas, and Andy had performed on cruise ships before, so he thought he knew what it was like to perform in front of older audiences. That is until Kenny brought him to Branson, MO. You couldn’t put down a glass of water anywhere near the audience without someone dropping their teeth into it. But nowadays when Andy or I perform for “older audiences”, they don’t look so old anymore. And these “kids” today – they say they’re 30-years-old, but they’re just babies. Sometimes when I play golf with these college aged punks, I want to club them with a pitching wedge to the spleen so that they’ll fell my lower back pain and know what it’s like to play at my age. On a more serious note, Andy has written a zillion books, including one of my favorites, How Do You Kill 11 Million People? Andy has always had a fascination with history, particularly World War II. But what really got under his skin in regards to this era was the answer to the question posed in his book’s title. To be more precise, 11,283,000 people were exterminated by the Nazi regime between 1930 and 1945 during the holocaust. Now, Andy isn’t as concerned about the methods that the Nazis used nor the insanity that must dwell in the minds of people who could carry out such horrific acts. What bothers Andy is the question: How did they actually accomplish this atrocity amongst the world’s society? The answer blew him away – and what’s more astounding is that the answer is still in use by politicians today to achieve their goals. The answer is actually pretty simple: How do you kill 11 million people? 3) The Nazis lied and told them that the Russian army was headed their way. They promise the Jewish people safety, housing, jobs and education if they would just quickly and calmly board the trains. Once on board, the doors would lock shut and not reopen until they were inside the death camps. One thing that jumped off the page when I read it was the response of the congregations of the German Christian churches. It’s well documented that as the trains full of Jewish captors would roll by the churches, the people in the pews would sing hymns louder and louder so that they wouldn’t have to listen to the screams coming from inside the train cars. They were motivated to inaction by the simple thought that there was nothing they could do. Especially for American pastors today – are you so concerned about keeping you job that you are going to refuse to offend the few people in your congregation who are already offended about most everything already and not proclaim the truth about what is going on in the world around us? We can’t be a nation of cowards! Another point in the book is the fact that we, the people, are in control of our nation. Yet we cede our control to a mere 545 individuals (one President, nine Supreme Court Justices, 100 Senators, and 435 Representatives). They enact every federal law, sign every regulation, enforce existing rules and interpret existing laws that create new practices. Wouldn’t you think that with 311 million of us on one side of the line and 545 on the other, we could get some of the power back from the 545? But instead, we are as quiet as church mice. In fact, I recently read an article that said that a couple in Florida were arrested for feeding the homeless. ARRESTED FOR FEEDING THE HOMELESS!!! There is a statute in their town that forbids feeding homeless people. Instead they are to be directed to the local government program that would take care of their needs. Never mind our Christian responsibility to help those we see in need. We need to become informed, passionate citizens who demand honesty and integrity from our leaders, or suffer the consequences of our own ignorance and apathy. And we need to use and unchanging standard to measure a leader’s worth: the pure, unvarnished truth. The sad thing is that a large and growing constituency in our country have moved beyond cynicism and acrimony and into the death march of apathy. Now, Andy’s first best seller was Traveler’s Gift. Good Morning America even listed it among “One of the Five Books of a Lifetime to Read”. It’s a simple story about a family going through a tough time, and the dad gets to travel through time, meeting with seven historical figures, who are also going through tough times of their own. He gets to spend time with Anne Frank, Abraham Lincoln, Joshua Chamberlain, King Solomon, Harry Truman, Christopher Columbus and even the archangel Gabriel. Each of these historical figures instills in this man a different principle that, if he puts them into his life, things around him will change. What’s amazing is that if we each put these same principles into our own lives, we’ll see our lives and our communities change as well.